Battle of Gettysburg, Contemporary Epistolary Account, 2 August 1863. 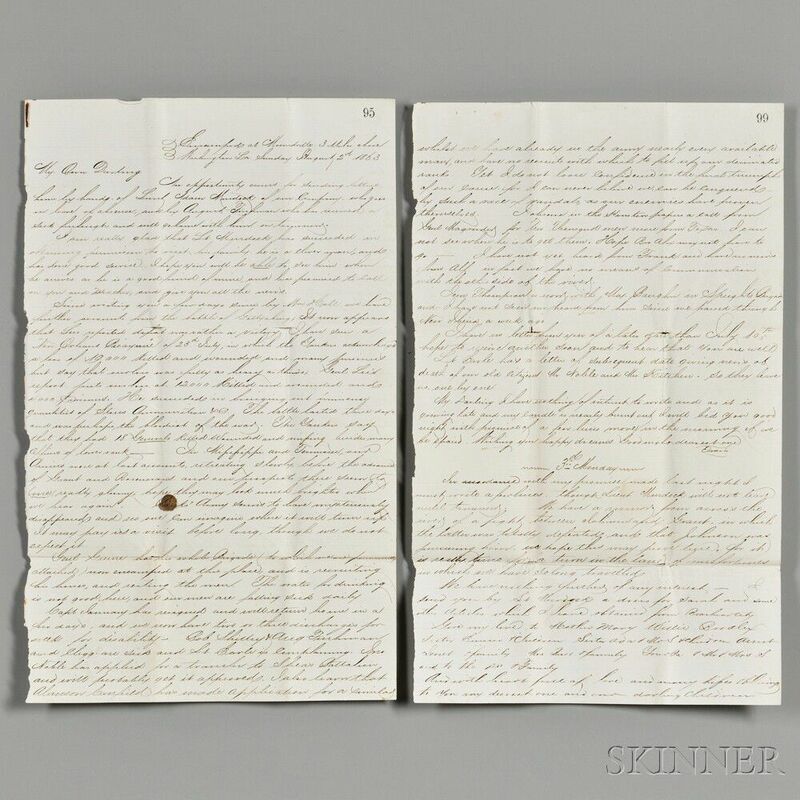 Autograph letter written signed by Traves Hensley (1836-1873), two legal-size lined folio sheets inscribed over three pages. 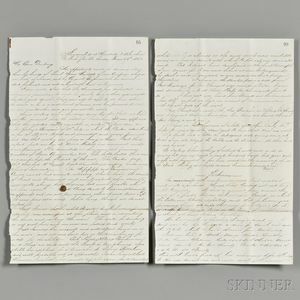 To his wife in Texas relaying secondhand information, from newspaper and other verbal reports (rumors) regarding Gettysburg and the situation in the Trans-Mississippi theatre, in Moundville, Alabama. Old folds, some breaks along those folds, 13 x 8 in. "The Yankees say they had 18 Generals killed, wounded, and missing besides many officers and lower rank. In Mississippi and Tennessee our armies were reported to be retreating slowly before the advance of Grant and Rosecrans and our prospects there appear to be rather gloomy. Banks' army seems to have mysteriously disappeared and no one can imagine where it will turn up [...] General [Tom] Green has lost his whole brigade encamped at this place, the water here is bad and men are falling ill. Many of his fellow friends are ill or have requested transfers. [...] We have no recruits to fill our decimated ranks."